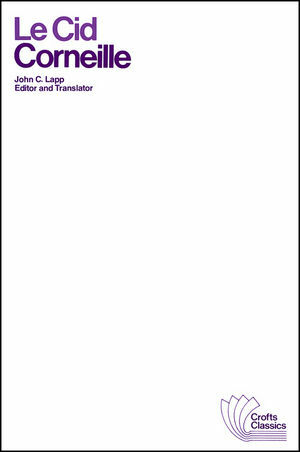 Edited and translated by John C. Lapp, this edition of Le Cid for performance and study includes an introduction, which interprets the contemporary political, social, and romantic themes that give this tragedy its complex, interwoven structure. Also included are a selected bibliography and a list of the principal dates in the life of Corneille. Pierre Corneille was a French tragedian. He is generally considered one of the three great seventeenth-century French dramatists, along with Molière and Racine. John C. Lapp is the author of Le Cid, published by Wiley.